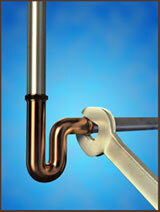 Copperworks Plumbing is a licensed, bonded and insured plumbing company serving lower mainland British Columbia. Lee Albrighton offers a full range of plumbing and drain cleaning services. He stands behind his plumbing work. Lee is a government certified, red seal plumber with experience in installations, repairs and renovations. Lee has dedicated himself to being helpful, professional and responsive to his customer's needs. You can count on Copperworks Plumbing for all of the plumbing needs within your home. Our services range from the smallest to the largest, whole house plumbing projects. Copperworks Plumbing serves Vancouver , Richmond, Burnaby, Surrey, White Rock, Langley, Coquitlam, Port Moody, North and West Vancouver. Whether you need a new installation, routine maintenance or an emergency repair, please call us today at 604-219-5555 or e-mail copperworksplumbing@gmail.com and let us know how we may be of service to you.